Ok, this just made me laugh, felt I had to share it. I love when a complicated emotional situation can be put in a way to make it make sense and more lighthearted. I tend to be on the serious side, so this helps me a lot. This quote is from a good movie, worth checking out, ‘Thanks for Sharing’ with Tim Robbins, Gwyneth Paltrow and Mark Ruffalo, all who I enjoy very much. It’s about sexual addiction but anyone with emotional healing issues may be able to relate to it. I like the ending, it’s not overly ‘pollyanna’ but positive. It lets us know that no matter what we are healing in life, it’s an ongoing job. We are an ongoing piece of work. We might as well have fun and find joy in between the hard stuff. Family and Reiki is where I find my joy. Where do you find yours? Your everyday life is like a dream. Everything that happens in a dream seems very real and very important while it is happening. and then when you wake up, you say, “Oh! It was only a dream!”, and what had been very important becomes ‘interesting,’ or maybe you forget it altogether. You know that it wasn’t real in the ways that your everyday life is real. Everyday life, however, is no more real than a dream is real. When you wake up, you remember this. and each time you wake up, you remember again. 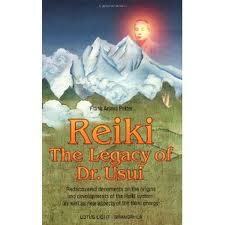 I read many books at a time, two in my car, three by my bed, one in each reading room, one in the Reiki room, etc. But when a book really catches my interest like this one, I just read and read and read until I typically start over and read it again. When I was drawn to this book and told to get it by my guides I laughingly questioned them, “Really, another book written by a medium? What else can they have to say?” Well this book now has a whole stack used of sticky notes sticking out of it at places I want to go back and reread or post quotes. For me, that’s the sign of a good book. Here is a quote about fear I’d like to share. I post this quote because it answers many of the questions I get the most. 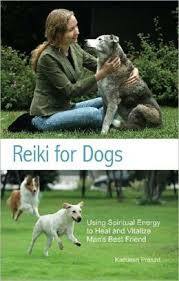 Run your Reiki when you read ANYTHING. 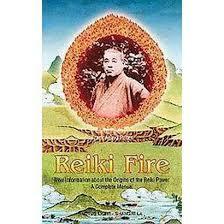 Run Reiki when you want to heal your fear or other difficult emotions. Allow your Reiki to surround you with spiritual power, the highest & most enlightened protection and loving support to help you heal deeper, faster and more thoroughly. “Fear acts like a dense wall surrounding us, it is a visceral inner resistance that we erect to try to guard and protect ourselves from what may or may not come our way. Yet this never works. Instead of protecting us, fear keeps us from accessing the inner power of our spirit. This book is available for check out in the Rain Shadow Reiki lending library with much excellent new information about talking to our loved ones who have passed over. While checking out Sherrie Dillard I found this page with a good article on what to do if you encounter a ghost. I liked it so I’m linking here. It has some good information including, do not attempt to contact the ghost yourself, get a professional to help. I find truth in anything anyone ever says about me, so nobody can be my enemy. Call me a fraud, I can find it. Call me a liar, I can find it. Call me a failure, I can find it. the worst being in the world, I can find all of it. As consciousness, I can find anything. Like you, I have nothing to hide, nothing to lose, and no image to protect. Every possible facet of human experience is available here. This is truly the end of war. It is the end of protecting and defending a mirage called ‘me’. This inquiry is the key to unimaginable peace. Deep gratitude to anyone who has ever given me any kind of feedback. 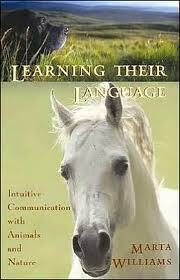 I’m reading another fabulous book “Learning their Language” by Marta Williams, this one about communicating with animals. But it’s not just about communicating with animals it also stresses the importance of communicating with nature as a whole to keep a balance in our world. In my opinion this is what has been missing in the modern age. The native indigenous cultures have long since not only believed in communicating with nature but also LIVED it. Here are some of my favorite quotes from the book so far. I’m not even half way through with it and I’m already wanting to write about it. Imagine what we could do to protect our planet if we learned to communicate with Mother Earth the way this tribe does?! A great story, read on…. If humans hope to survive and thrive on this earth, we will have to relearn how to live in partnership with all other life forms. Our beliefs about animals and the natural world must shift to something more like those of our ancestors and contemporary indigenous people. Learning intuitive communication helps make this possible. “Did you know the trees talk? Well they do. They talk to each other, and they’ll talk to you if you listen. Trouble is, white people don’t listen. They never learned to listen to the Indians so I don’t suppose they’ll listen to other voices in nature. But I have learned a lot from trees: sometimes about the weather, sometimes about animals, sometimes about the Great Spirit.” Walking Buffalo (Tatanga Mani), a Stoney Indian of Alberta, was educated in white man’s schools but never gave up his relationship with nature. At the age of eighty-seven, in a speech he gave in London in the late 1960’s he described his ability to talk to trees. I pray you enjoyed these quotes from this great book and maybe have come to want to read it or even think about things you haven’t considered prior. 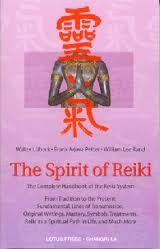 This book is available for check out in the Sequim, WA lending library at Rain Shadow Reiki. Here is a link to a You Tube video about animal communication with wild animals that brought me to tears. The work this woman is doing, the spiritual work we are all doing is precious and incredibly valuable to our whole planet. This video is 52 minutes long and worth it. Enjoy. Blessings to you all for reading and moving forward on your own spiritual journey, I love reading your fine comments, please keep them coming. I thought this quote was quite timely with Christmas coming up. I too get caught up in the excitement of the lighted tree, city lights and decorations, all the Christmas music playing and wrapping lots of gifts for my family and others and putting them under the beautiful tree. Yes, I’m guilty of going overboard each year and in the moment it makes me happy. I love giving in this way. But, I also love meditating, doing Reiki and giving hugs equally as much all year round and when I’m doing so, I’m very happy. 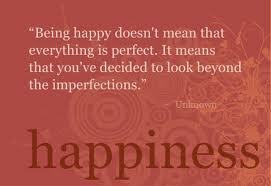 So, anyway, this is a nice reminder that happiness doesn’t come from things, it comes from inside of us. Here is a lovely quote from “Reiki Fire” by Frank Arjava Petter, available for loan in the lending library here at Rain Shadow Reiki. “It is my understanding that all desires, spiritual or material, are rooted in the longing to be happy. We wish to buy this car and that house for one reason alone, namely the pursuit of happiness. However, happiness is a very elusive guest, like a shadow. The moment we think it is in our grasp, it takes its leave. When a desire is fulfilled, another desire fills its place almost immediately. the carrot forever dangles in front of our face… We even use our desires to postpone happiness, saying ‘when I have fulfilled this or that desire I will be happy.’ The bad news is that happiness can never be found in the future. the good news: It is right here with us now at all times. Simply tap into the ocean of happiness by closing your eyes and looking within. At that very moment, everything is perfect, everyone is happy. 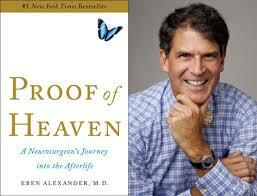 “Proof Of Heaven” by Eben Alexander, M.D. From the book “Proof of Heaven” by Dr. Eben Alexander, a Neurosurgeon’s journey into the Afterlife, his near death experience. This morning I picked up one of my favorite ‘go to’ Reiki books, “Reiki, the Legacy of Dr. Usui” by Frank Arjava Petter and I read this passage. It spoke to me, so I’m sharing it here praying it helps others as well. I read this book over and over again and still find new passages that I wonder if I’ve ever read them before. I know I have, and I got out of them what I needed then. But, apparently, I needed them again. Many people are ‘waking up’ from their denial dreamland for the first time. People are experiencing feelings they haven’t felt before. Knowing that these feelings are not good or bad is important. They have a purpose. That purpose is to communicate that there is an imbalance in their system, their life, their body. It is time to LISTEN to this communication and not push it down or label it as BAD. I’m all about the HOW. HOW do we do this new thing, listening to our emotions, that we have not done before. I felt this passage from the book explained it well. “I often heard my master Osho say that feelings must be brought to light in order for their purpose to become clear to us. The purpose of so-called negative feelings should be brought to light so that they can heal and the so-called positive feelings so that their light can spread even further. Expressing our feelings is a balancing act at the start. Like tightrope-walkers on the circus rope, one tiny wrong movement to the left, right, upward, or downward is identical with falling into the depths. It isn’t easy to share our feelings with someone close to us without pouring them over him and burying him beneath them. The only way to learn how to gracefully express our own feelings is to practice doing so. Because it is often more difficult to express our feelings to people close to us, it is best to start with ourselves. Simply go for a walk or sit down alone in a quiet place and tell yourself how you feel about yourself. Then tell yourself how you feel about a person close to you without passing any kind of judgment on your feelings. There actually isn’t any difference between the so-called “good” and “bad” feelings. The person who feels them is always the same! When you have done this a few times, choose someone in whom you have total trust. Ask her or him to simply listen to you and then unconditionally pour our your heart. In a relationship, it often isn’t easy to be honest because we say that we don’t want to hurt the other person. I think this is true only to a limited extent. The rest of the truth is that we are afraid the other person would no longer love us if we express our feelings in their entirety. I recommend that you enter into a pact with your partner that allows both parties to be unconditionally open and honest. I have found this to be true. The more I practice at this process, the more my feelings are not as extreme, I’m not as attached to them. It’s like I’m looking at them as someone on a movie screen like I used to have my clients do in hypnotherapy, to gain distance from them. Of course it’s harder at first and that is why it is helpful to have someone like me or a therapist or a very close friend to help you and guide you though it. But after some practice and experience, believe me, it gets much easier. Good luck, may Love and Light be with you during this process. The most important part is to DO it and to PERSEVERE. Stick with it no matter what.